Home→Uncategorized→WGN-TV covers Mousetrap Machine Science Assembly on morning news segment! ← Mousetrap Machine Science Assembly PTA Review! 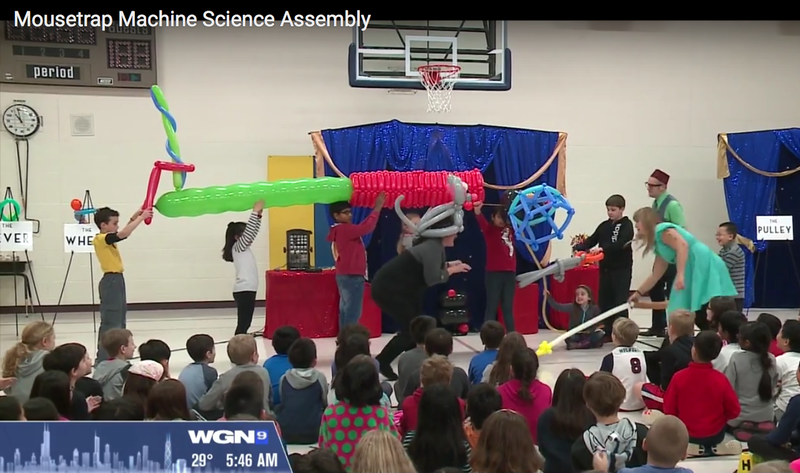 Marcus Leshock of WGN-TV’s morning news recently visited one of our performances of the Mousetrap Machine Science Assembly at the Half Day School in Lincolnshire, IL. 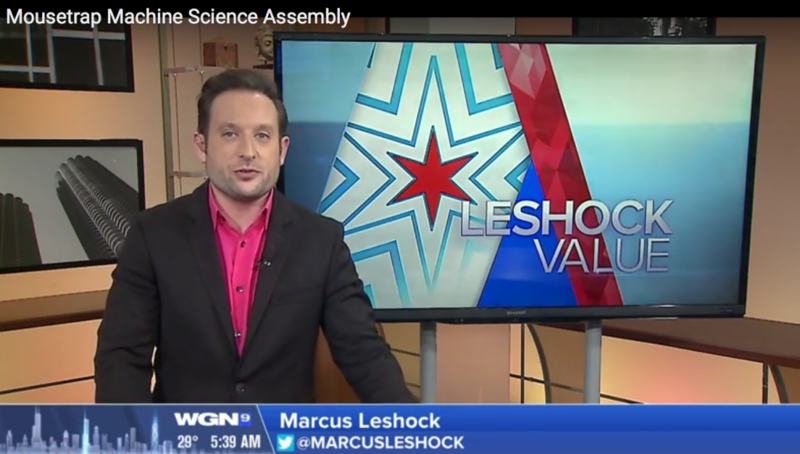 The Mousetrap Machine Science Assembly was featured as part of Marcus’ popular “Leshock Value” segment on WGN-TV’s morning news. WGN Features Mousetrap Machine Science Assembly!